Zionism Is In. Get Used To It. To understand the distance Israel has traveled since then, consider Tuesday night’s Memorial Day ceremony at Rabin Square in Tel Aviv. None of the performers attacked their fellow Israelis. And the best-received artist and song was Mosh Ben-Ari and his rendition of Psalm 121 – A Song of Ascent. The psalm, which praises God as the eternal guardian of Israel, became the unofficial anthem of Operation Cast Lead in Gaza in 2008-2009. And Ben-Ari’s rendition of the song propelled the dreadlock bedecked, hoop earring wearing world music artist into super-stardom in Israel. Israel’s return to its Zionist roots is the greatest cultural event of the past decade. It is also an event that occurred under the radar screen of the rest of the world. No one outside the country seems to have noticed at all. It is clear that Mahmoud Abbas's government is pursuing a policy of quashing critical media coverage and stifling free speech on the Internet. The Media has long ignored the abuses of the Abbas regime in the West Bank. The fact that alleged moderate peace partner of Israel Abbas regularly incites hatred against Israel, that Abbas stopped legally being President over 3 years ago or that Fayyad's term as Prime Minister was illegally renewed do not interest the Media. Apparently some minor details do not concern Obama either. Whether or not you want to take an anonymous quote of a State Department official as the opinion of the Obama administration, according the the definition of terrorism the White House established back in 2009, I suppose the War on Terror actually must be over. "7 Greatest Quotes by IDF Generals"
Great men say great things. Here’s a collection of quotes by the leaders of the IDF — its Chiefs of Staff — over the years. Lt. Gen. (res.) Haim Bar-Lev served as Chief of Staff between 1968-1972, and inventor of the Bar-Lev Line. He later became a Knesset member and was appointed ambassador in Russia, until his death in 1994. Unsurprisingly the New York Times obituary of Benzion Netanyahu, the Prime Minister's father is titled, Benzion Netanyahu, Hawkish Scholar, Dies at 102. I'm uncertain why the adjective, "hawkish" is necessary. Ultimately, Israel was created as a result of the partition the revisionists opposed. Nonetheless, Rafael Medoff, director of the David S. Wyman Institute for Holocaust Studies, said in a letter to The Jerusalem Post in 2005 that Mr. Netanyahu was instrumental in building American support for the smaller Israel that did emerge. Is The US Syria's Last Hope? For a year, a chorus of pundits has been proclaiming that the Arab Spring has ushered in a new era in the Middle East in which the United States no longer is the “indispensable nation” Bill Clinton once described. Syria has proved them wrong. In February, the Spanish Consulate in New York decided to grant a medal to Professor Netanyahu for his research on the history of the Inquisition and the Marranos. ...Prof. Benzion Netanyahu was born on March 25, 1910 in Warsaw as Benzion Milikovsky writer and Zionist activist. He was a leader of the Zionist movement in the United States and is considered one of the important historians in dealing with the study of Jewish life in medieval Spain and the study of the Inquisition, the organization pursued the Marranos in Spain. He also served as adjunct professor at the Academy for Jewish Research, a member of the Royal Academy of Fine Arts and Science history Spain and professor emeritus at Cornell University. Let me sum up the situation regarding U.S. policy toward revolutionary Islamism like this. A man threatens, “Surrender or I’ll kill you!” The victim surrenders and then boasts of how he put an end to violence by offering an alternative, peaceful “channel” of expression! Michael Hirsh has responded to my critique of his article. Amazingly, yet typical of our era, he didn’t engage with a single—not a single—idea I presented. It’s clear that Hirsh knows nothing about the Middle East and so is merely arguing based on unsuitable analogies, a lack of knowledge about history, and a blind faith in “experts” who don’t seem to be very expert at all. No president since Harry Truman has done more for Israel’s security than Barack Obama. If we take a closer look at Joe Biden's comparison of Obama to Truman based on the discovery of recent documents, there may indeed be a basis for comparison. Labels: Biden Is A Friend Of Israel?, Election 2012, Is Obama A Friend Of Israel? The war on Christianity and its adherents rages on in the Muslim world. In March alone, Saudi Arabia's highest Islamic law authority decreed that churches in the region must be destroyed; jihadis in Nigeria said they "are going to put into action new efforts to strike fear into the Christians of the power of Islam by kidnapping their women"; American teachers in the Middle East were murdered for talking about Christianity; churches were banned or bombed, and nuns terrorized by knife-wielding Muslim mobs. Christians continue to be attacked, arrested, imprisoned, and killed for allegedly "blaspheming" Islam's prophet Muhammad; former Muslims continue to be attacked, arrested, imprisoned, and killed for converting to Christianity. To understand why all this persecution is virtually unknown in the West, consider the mainstream media's well-documented biases: also in March alone, the New York Times ran a virulently anti-Catholic ad, but refused to publish a near identical ad directed at Islam; the BBC admitted it will mock Jesus but never Muhammad; and U.S. sitcoms were exposed for bashing Christianity, but never Islam. The Jewish community's largest "defense" organization, the Anti-Defamation League (ADL), has adopted a policy, consistent with the progressive agenda, not to speak up much about the global tsunami of Muslim anti-Semitism, but instead to campaign against "Islamophobia." This while FBI statistics show that hate crimes against Jews in America are five times the number of hate crimes against Muslims. The rationale for this policy, as the ADL's chief, Abe Foxman, told the Boston Jewish Advocate, is that "[y]ou can't fight the fight against anti-Semitism without fighting against bigotry. ... You cannot ask people to stand with you unless you are ready to stand with them." The defining truth of this struggle is the abdication of the Obama administration. For a year now, American officials have skillfully run out the clock. They made much of the authority of the U.N. Security Council when any model U.N. team in any high school would have predicted the vetoes of Russia and China. It was clear that the Obama administration did not want to arm the opposition for fear of "escalating" the conflict. In fact, all of the facts about this politician are easily available in the public record. The man in question is Maarouf al-Dawalibi, whose son, Nofal, has now declared himself leader of a Syrian “government in exile.” I don't want to be unfair to the Washington Post, which in this case merely reports what someone told it and had no reason to research this specific point. Still, this story amply illustrates the daily misrepresentation and apologies for revolutionary Islamism so common in the media, academia, and among Western government officials. It also shows how a naive West is repeatedly duped and how knowledge of Middle East is so shallow among the supposed experts and pundits. "What Israel Needs From American Jews"
As Yom Haatzmaut draws to a close, it is worth pondering the question Jonathan Tobin asks: What Israel Needs From American Jews. No, Israel does not require blind devotion. It is only those self-proclaimed "brave" people who stand up to the Zionist state who believe that. This is a basic truth that most Israelis intuitively understand but which continues to elude some of their liberal American friends. Israeli Independence Day is as good a day as any for some of these preening liberal Zionists to ask themselves why is it that the average Israeli regards their impulse to save Israel from itself with a mixture of humor and contempt? After a generation of territorial withdrawals, peace accords and peace offers that have been consistently rejected by the Palestinians, Israelis are right to view those who act as if the history of the last 20 years never happened as simply irrelevant. Syrian armed forces on Monday “summarily executed” nine political activists who had met with UN monitors during their visit of Hama on Sunday, whilst the city was also shelled following the UN observer mission’s visit, resulting in the deaths of 45, according to a human rights organization. So when the administration now says the “war on terror” is over because al-Qaida has been defeated, it is speaking with total consistency. Jordan’s ‘Arab Spring’ protests started as a peaceful small-scale demo against corruption in the town of Theeban in January 2011. Since then the protests have spread out to the outlying governorates, along with the rise of so-called popular movements. However, the unrest never reached the magnitude of the uprisings in countries such as Yemen, Egypt and Libya. As in other Arab countries, protests in Jordan were being led by the Islamist movement, which dominates the political opposition, as well as by the popular protest movement which includes numerous pro-reform organizations. The Jordanians mainly protested against corruption and favoritism. Demonstrators called for investigations into regime corruption at almost all the protests. Later the protests were directed against the worsening economic situation in the country. The deterioration of the economic situation is alarming as it could lead to a full-blown revolution as happened earlier in Tunis and Egypt. Jordanian demonstrators demanded reform and change general in a peaceful way. Lately however, some protests have turned violent. Last week dozens of people were injured during clashes between Salafists and pro-government demonstrators in the city of Zarqa. Compared to the protests in other countries across the region, those in Jordan have been relatively few. This situation can be explained by a lack of organizational skills among the few political parties and an effective security system. In addition, from the outset of the protests consensus existed that political and economic reform – not regime change – were the solution. The fact that the Palestinians, who make up almost two thirds of the population, have not joined the protests may explain why there hasn’t been a full-blown revolution in Jordan. However, the Palestinian Arabs in Jordan have good reasons to be angry at King Abdullah and his government. This week's Latma--a day early. The story is told of the Hassidic rebbe who, upon the establishment of the State of Israel, began to recite the thanksgiving prayer of Hallel on Yom Ha'assmauth, Israel's Independence Day. After a few years, his followers noticed that the rebbe no longer recited Hallel. When queried about this he explained: "When a child is born, everyone is happy. But if, as he grows up, he goes off the correct path and moves away from the Torah, the earlier jubilation becomes inappropriate". Without a doubt, the incredible success of Zakkai's last surgery (on 4/4) was due to the world-class medical team in Boston and the overwhelming outpouring of prayer by friends around the world. The medical team is lined up, including the phenomenal anesthesiologist who took great care of us last time - we found this out today and we're very relieved! Now we need our friends again for the prayer part. As we did last time, we are organizing a 25-hour Tehillim/Psalms reading during the halachic/Jewish day that Zakkai will be undergoing (hopefully his last) surgery in Boston this coming Monday morning, April 30. There are 20-minute time slots during which one can read Tehillim/Psalms of his/her choice. The timelines start 7:20 pm Sunday, April 29 and end 8:40 pm Monday, April 30. Please see http://tinyurl.com/7k2f6ua for the details. Thank you in advance to all who participate (as well as to those who don't participate but keep Zakkai in their prayers nonetheless). Tonight we begin the celebration of Yom Ha'Atzmaut -- Israeli Independence Day. It might be hard to believe when you look at recent newspaper headlines, but 93 percent of Israelis are proud to be Israeli, and the majority, 70%, even describe themselves as "very proud." There is an ongoing debate about the Google Doodle: which holidays and occasions does Google commemorate with a "Google Doodle,"--and which ones they don't. Not only was he "inspired" by al-Qaeda, but his very tactics mirrored those of the jihadist organization. This ad is part of our ongoing effort to counter the campaign of hatred against Israel and Jews in general that takes place on a daily basis in our universities and has begun to leak into our popular culture. Anti Israel Apartheid Weeks, “Nakba” Day demonstrations, and, perhaps most harmfully, the Boycott/Divest/Sanction movement have contributed to an atmosphere of Jew hatred on American campuses that echoes the murderous anti Semitic propaganda campaign of the Third Reich. And that was, as we now know, a prelude to genocide. The Freedom Center has drawn a line in the sand. It is time to name names and call out these academic merchants of hate for what they are. This advertisement is an important step in our campaign. But it is not by any means the last step. "When the Israeli Soldier Arrived in Heaven…"
This powerful and intensely moving story was written by Rabbi Yosef Eliyahu in 1974, when he was a young student at Yeshivat HaKotel, shortly after many of his classmates were tragically killed in the Yom Kippur War. With special thanks to Yedidya Meir and Sivan Rahav Meir. Israeli Ambassador Ron Prosor, "The Situation in the Middle East"
Churchill once said, "In the time that it takes a lie to get halfway around the world, the truth is still getting its pants on." In the barren deserts of the Middle East, myths find fertile ground to grow wild. Facts often remain buried in the sand. The myths forged in our region travel abroad - and can find their way into these halls. I would like to use today's debate as an opportunity to address just a few of the myths that have become a permanent hindrance to our discussion of the Middle East here at the United Nations. The Middle East Media Sampler 4/25/12: Israeli Settlements Condemned; Fatah-Hamas Unity Is "Internal Matter"
2) The road to Arab democracy? Neither Gerecht nor Rubin is discussing a near term political horizon, but just what is the preferable first step on the long road to democracy. Technorati Tag: Israel and Iraq and Turkey and Media Bias. The next village down the road, Bergheim, population 1500, is far tinier and even more charming, about the closest thing to a perfectly preserved Medieval place I’ve ever seen. There, too, is a sign where a synagogue once stood. In both places, I visited the well-organized tourist information bureaus but they could find no picture of the synagogue and knew nothing of their village’s Jewish history. In the big city of Nancy, in Lorraine, is the famous Musee de l’ecole de Nancy, with brilliantly designed and executed neavaux arte furniture and porcelain. Look at the names of those who bought the items or for whose homes it was made. Many of them, too, were Jews. One remarkably beautiful vase on display was a gift more than a century ago of the Horticulture Club to its honorary president, also a Jew. Jennifer Rubin reports how Backlash builds over ‘60 Minutes’ hatchet job on Israel. We received an organized negative email campaign of the type we don’t count because all of them were duplicates of the same letter sent from the same organization, Christians United for Israel, which apparently wrote the letter and urged others to resend it to CBS News. So far they number a few hundred, far less than 500 and well below what other such organized issue-based responses in the past have generated. There is now a petition asking the International Olympic Committee for a moment of silence at the London Olympics in honor of the 11 Olympians murdered at the 1972 Games in Munich. "It's been more than 20 million minutes since the 1972 Olympics, all we're asking for is one." In January 25, 2009 he had this to say:"Palestinians ... when they want to travel from one town to another, they have to submit to humiliating delays at checkpoints and roadblocks. There are more than 600 of them on the West Bank." In April 22, 2012 he had this to say:"For all Palestinians, just leaving Bethlehem is a struggle. Getting to Jerusalem, only seven miles away, whether it's to pray, go to a doctor, visit family members, or work, means going through this Israeli checkpoint. That can take hours but before Palestinians can get even this far, they need a permit from the Israelis which can take weeks or months to obtain and is frequently denied." So Who is Humiliating Whom? Bob, you say Palestinian Arabs feel humiliated and harassed when Israeli authorities search them and their belongings; when they are prevented from traveling freely because of checkpoints, roadblocks, closures and curfews. You say they feel "corralled." The Middle East Media Sampler 4/24/12: Obama Redefines "Always"
As I write, I have no further word on the situation at Givat Ha'Ulpana. Time is short, and I am mindful that all of the words from nationalist members of the government and the Knesset might end up being no more than words, unless the proper strings are pulled. What there is genuine determination to accomplish here, can be accomplished. What I do have is a video of the plea of Beit El resident Yoel Tzur to Prime Minister Netanyahu. I wrote last night about the fact that this neighborhood had been constructed in memory of Ita Tzur and her son Ephraim, who had been killed by terrorists. 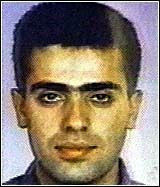 Yoel is the bereaved husband and father, who was in the car when it was attacked by three terrorists. Iran is investigating a suspected cyber attack on its main oil export terminal and on the Oil Ministry itself, Iranian industry sources said on Monday. Rabbi Avi Shafran: "Ferry Tales"
The following by Rabbi Avi Shafran is reposted with permission. At The Times, a mention of CAMERA frequently induces eye-rolling or shrugs. Editors have clearly lost patience with the group. "On February 11 (the day before our lives were transformed), we would never have imagined that our son would undergo 3 surgeries in less than 3 months. We truly hope and pray this upcoming surgery will be the last one Zakkai will ever need." The red line I am referring to is with regard to the scheduled government (or more precisely the Defense Ministry/Civil Administration) demolition of the Ulpana neighborhood (Givat Ha'Ulpana) of Beit El by the end of this month. Last year, we read the weekly Torah portion – Parshat Emor on the 3rd of the Hebrew month of Iyar, which would have been on the Eve of Yom Hazikaron – the official Memorial for Israel’s Fallen Soldiers and Victims of Terror – were it not to have fallen on Shabbat. In Parshat Emor it is written: “And I will be sanctified among the Children of Israel…” (Leviticus 22, 32). The great medieval commentator Rashi (Rabbi Shlomi Yitzhaki) explains that this verse implies a positive act of sanctification, that this act of making holy G-d’s Name is understood to mean that if necessary, in certain circumstances, one sacrifices oneself and by doing so, one makes G-d’s Name holy. It’s really interesting when I talk to Obama supporters who are soft-core, meaning they are open to discussion and not completely closed-minded or ideologically set in granite. There are several themes that constantly recur in such conversations though one rarely or never sees these points in print. Of course, these people get their information from the mainstream media, which protects the administration and repackages its talking points while largely censoring out critical responses and the failures or scandals. But there are also some important assumptions they are making on their own. –A key argument is that Obama really hasn’t done that much to change anything. The subtext of this claim is that the person who believes it is only looking at legislation passed by Congress. In that category, once one goes beyond Obamacare or the disastrous Stimulus Plan this administration has gotten far less in the way of major bills through the legislature than have many of its predecessors. Latma addresses the clash between IDF's Lt. Col. Shalom Eisner and the ISM. The Middle East Media Sampler 4/20/12: Springtime For Fatah and Hamas! Sunday's protests were driven by renewed hopes that Palestinian statehood - at least as an internationally approved idea within specific borders - is approaching after years of paralysis. The optimism is fed by reconciliation efforts between the Islamic militant Hamas and the Western-backed Fatah movement after a four-year split, as well as growing international support for Palestinian President Mahmoud Abbas' plan to seek UN recognition of a state in the West Bank, Gaza and east Jerusalem in September over Israel's objections. Although some say UN recognition will change little on the ground, the pro-democracy revolts in the Arab world have instilled a new sense of possibility among Palestinians, who had been dejected after two failed uprisings against Israeli rule and fruitless peace talks over the past 20 years. The premise here is that there was a parallel between the Arab Spring and Palestinian statehood aspirations. That's not quite right. The footage below of the clash between ISM and the IDF is from Palestinian TV. Watch the video and then check out the notes below. Just How Desperate Is The NJDC To Pin Antisemitism On Republicans? I wrote earlier about the hypocrisy of The National Jewish Democratic Council (NJDC) which condemned Romney for lack of sensitivity when appearing at the museum for antisemite Henry Ford, but yet is silent when Obama does the same thing. Apparently, the NJDC is still determined to tar the Republicans as antisemites--this time by putting words in House Majority Leader Eric Cantor's mouth. Barry Rubin: Who Gets to be the Caliph? Once the issue is raised the battle begins. Should the caliph be Sunni or Shia? In all of Muslim history there has never really been a Shia caliph and today’s Shia would not accept any Sunni caliph. The starting point, then, would be a Sunni-Shia war or, rather, a set of such wars. Naharnet reports that Lebanese lawyers are filing a lawsuit against Syria's President Assad with the International Criminal Court. Lebanese lawyers representing Syrian refugees in northern Lebanon filed a lawsuit to the first chief prosecutor of the Hague-based International Criminal Court (ICC) Luis Moreno-Ocampo against Syrian President Bashar Assad, the Kuwaiti al-Anba newspaper reported on Thursday. A report issued by the London-based International Centre for Development Studies confirmed that Iran is stealing large amounts of oil from neighboring Iraqi fields. According to the report, Iran steals $17 billion worth of Iraqi oil from fields that are mostly Iraqi and not shared between the two countries. Those fields are home to more than 100 billion barrels and the majority of them are inside the borders of Iraq. Yesterday I wrote about Holocaust remembrance. Today I want to expand on this, for the day being observed right now is most properly called Yom Hashoah v'Hagvurah -- Day of Remembrance of the Holocaust and the Heroism. That second part is important, because the Jews did not all go -- as was said by Vilna resistance leader Abba Kovner -- "like sheep to the slaughter." There was resistance, which also must be remembered and honored. The most powerful example of that resistance we have is what took place in the Warsaw Ghetto, and it is for this reason that this day of remembrance has been set to coincide with the most significant part of that resistance, which was initiated on April 19 (1943). Seems that everyone "punches above their weight"--except for Obama himself. From the show Detektor, from the Danish Broadcasting Corporation DR, host Thomas Buch-Andersen notes that Obama just can't help himself for giving the exact same compliments to every country he hosts. Will Ira Forman Condemn Obama For Appearing At Henry Ford Museum--Like He Condemned Romney? 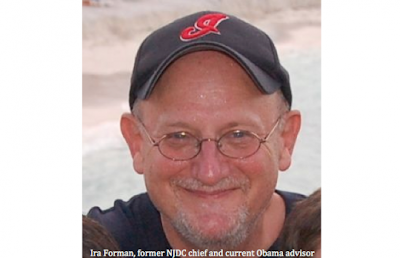 Adam Kredo writes about the apparent hypocrisy of the NJDC--that former NJDC chief Ira Forman attacked Romney for speaking museum of antisemite Henry Ford, but is silent over Obama doing the same thing. The mechanics of an eventual settlement are clear enough after Saturday’s first session in Istanbul: Iran would agree to stop enriching uranium to the 20 percent level and to halt work at an underground facility near Qom built for higher enrichment. Iran would export its stockpile of highly enriched uranium for final processing to 20 percent, for use in medical isotopes. It's wonderful to know what appear on the surface to be sticky problems are in reality issues whose solutions are staring us in the face. I just wonder if these obvious solutions are limited to Middle East problems or if obvious solutions are waiting just around the corner for all global issues. This particular video by Pat Condell came out in November 2010, but it has been making the rounds again. One reason I find it interesting is that watching this video seems to show that over the last 2 years, Pat Condell has toned down his rhetoric--a little. Sometimes a secretary of state is asked tough questions. How they are answered shows the underlying philosophy of official and government. I genuinely don’t want to make too much out of a single exchange between Secretary of State Hillary Clinton and a Tunisian audience. Yet the problem is how the approach she took fits into consistent themes of the Obama Administration. Whatever Clinton tried to do when talking to a group of young Tunisians (video here), it’s also important to consider how her audienceinterpreted her statement. Either they thought she was saying that the United States doesn’t really support Israel or they thought that she was telling them a transparent lie that made them more suspicious. Or both of the above. The exchange also fits with Obama’s own statement to Russian leaders who wants America to get rid of much of its nuclear arsenal, that elections are a nuisance that will only temporarily interfere with him doing what his government–and his interlocutor, too–wants him to do. Labels: Hillary Is A Friend Of Israel?, Is Obama A Friend Of Israel? Israeli-Palestinian talks have essentially been frozen since the fall of 2008, although there have been numerous efforts by Washington to move them forward. In 2010, at President Obama’s urging, Mr. Abbas and Mr. Netanyahu held three meetings after Israel carried out a partial 10-month moratorium on settlement construction in the West Bank. New Fund Bets You'll Agree Palestinian Start-Ups Are The Way To Go! The firm, Sadara Ventures, which has the backing of prominent institutional investors including Cisco, the European Investment Bank, the George Soros Fund and Google, is poised to make its first investment. Did You Really Think That Fayyad Was Going To Meet With Netanyahu? A planned meeting Tuesday between the Israeli and Palestinian Authority prime ministers may be canceled or postponed after Salam Fayyad refused to attend, senior Palestinian officials said. The continuing slaughter of Syrians at the hands of the Assad regime highlights the dilemma of Syria refugees in general--and the plight of Palestinian refugees in particular, as Khaled Abu Toameh explains Why Is Jordan Keeping Out Palestinian Refugees? More than 1,000 Palestinians who fled from the violence in Syria and were hoping to find temporary shelter in Jordan, have been stranded along the border between Syria and Jordan for the past few weeks. The Jordanian authorities have been refusing to allow them into the kingdom. The problem with the Obama administration is that it wants to pursue policies that may be acceptable to the day-dreaming cultural elite, but not to regimes that are full of cunning and deceit, like the Iranian regime, whose primary objectives do not include development, openness, humanitarian values, the well-being of its citizens, or even religious tolerance; rather, all that the Iranian regime – and the ideology behind it – cares about is expansion and infiltrating other countries. Oops! I didn’t write that and there’s no plagiarism intended! These are the words of Tariq Alhomayed, editor-in-chief of al-Sharq al-Awsat in that Saudi-backed newspaper’s April 15 issue. He once again illustrates a point I keep trying to make: anti-Islamist and moderate Arab states, intellectuals, and democratic opposition movements are just as upset with the Obama Administration as I am. And they are just as endangered by current U.S. policies as Israel is. It passes for diplomacy these days, but its hallmarks are pretense, illogic, and a self-serving posture. Not an aberration, it has become something of a widespread norm. "...my initial impression is that Iran has been given a freebie. It has got five weeks to continue enrichment without any limitation, any inhibition." But Obama wasn't having it. The US, he declared, "has not given anything away." While he believed there was still room for diplomacy, he would not allow the talks to become a "stalling process." I wrote this article before Mitt Romney made what might be called his first speech directed at the general election (see the end of this article for the link). And I was pleasantly surprised that he seems to be following the strategy I’ve outlined below. It appears that Romney is changing gears after being bland, centrist, and nasty to win the Republican nomination. This is a superb speech full of sharp and clear points, and I urge you to read it. But please do so only after finishing my article that sets a framework for it! What are the weaknesses of Obamaism that my “Marxist-style” analysis highlighted, and how do they suggest the way in which the presidential and congressional electoral campaigns should be conducted? The current policies don’t work for a basic structural reason. You cannot apply highly statist, left-wing socialist policies to the American system and have them work. It is like beating your automobile with a buggy whip to make it go faster or, alternatively, buying a Leaf electric car that is overpriced and doesn’t work very well. There is no way that Obama’s policies can revive the American economy precisely because they are based on an ideology that doesn’t fit the system it is supposed to govern. And if he’s reelected, things will become far worse. Mitt Romney and others must highlight this total mismatch. Obama ignores the facts and doubles down on applying failed strategies, as he did by refusing to increase drilling for oil and a pipeline from Canada in the face of high prices or as he continues investing in “green energy” when the green in it is the mold growing on bankrupt facilities. According to their own numbers, Hamas terrorists have executed 24 abduction attempts since the organizations inception in 1987, but planned kidnappings of soldiers date back even further. Yedidya Atlas: Let Jonathan Pollard Go!